This unique handbag size range offers both UVA and UVB protection. 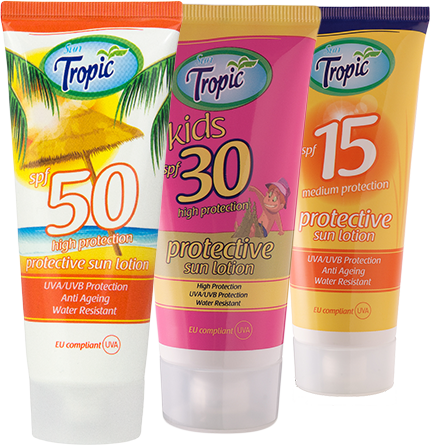 All the products in this range are water-resistant, so you don’t need to worry about getting burned at the beach or in the pool. The sun lotions are available in low, medium and high factors. 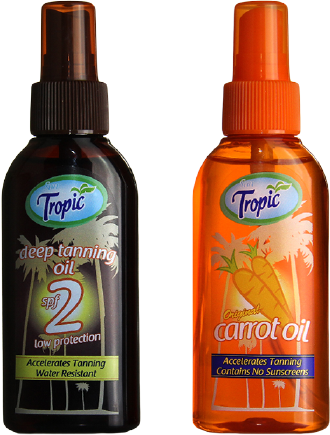 For those who want to achieve a natural long-lasting tan, we offer an Original Carrot Oil and a Deep Tanning Oil. 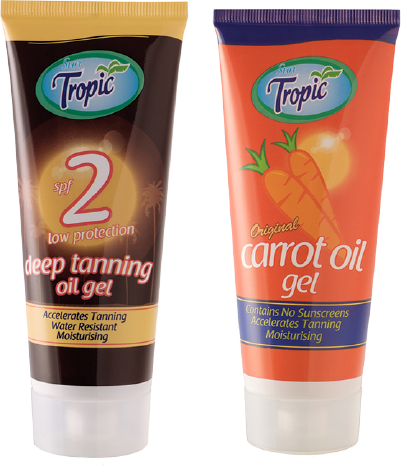 If you prefer to use a gel instead of an oil to achieve a gorgeous deep tan, then you can try our Deep Tanning Oil Gel and Original Carrot Oil Gel. The light and easily absorbed formula contains moisturisers and is a natural tan accelerator. 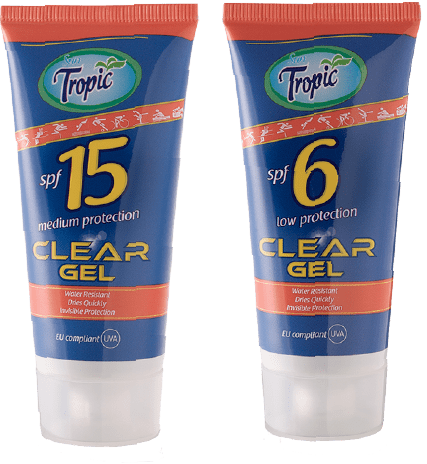 Sun Tropic offers a range of Clear Gel sun protection that is water resistant, dries quickly and allows you to enjoy your day carefree. 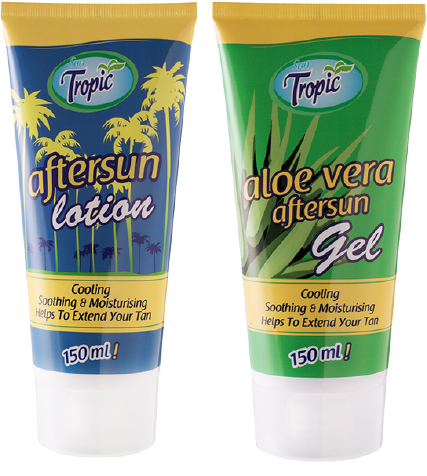 Sun Tropic also provides sun lovers with a cooling, moisturising After Sun Lotion and an Aloe Vera After Sun Gel. They not only refresh and repair your skin after a long day in the sun, but they also help to prolong your holiday tan.